Today I had my reserve induction, and began getting put through the motions and morning routine. I'm pleased to see were responsiblele for a Moth trap, I'll keep you updated with our catches from tomorrow. Mondays are cleaning days, the Visitors Centre, toilets and hides, we also set the Mink trap. After lunch all the cleaning tasks had been finished and we headed over to the Fen Hide to clear the boardwalk area a bit. We were done by roughly 16:00, headed back for tea, then I was straight out onto the reserve. Tonight I headed for Rattray, and the dunes, 2 miles of wild sea, sand and dunes, I wasn't disappointed. Making use of the reserves pickup truck I headed down the sandy track, parking up and walking through the dunes to the shoreline. 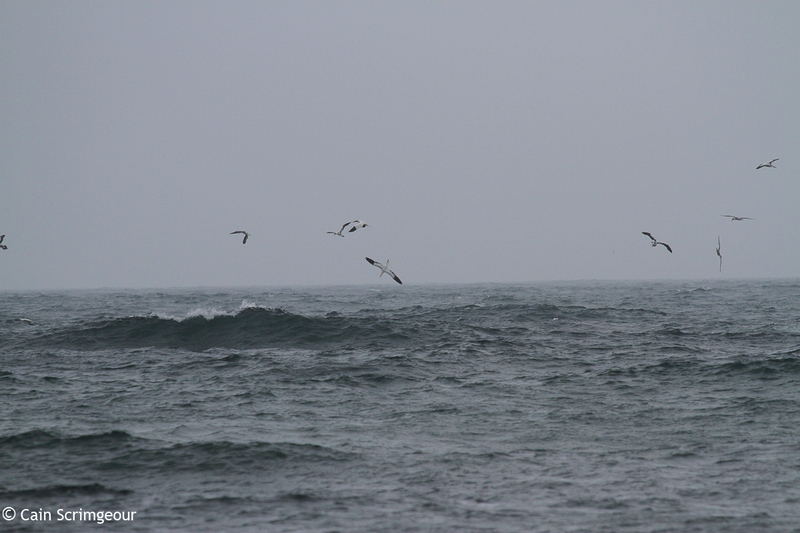 The North Easterly wind was pumping out some canny waves, and a light rain made visibility poor, but it was chocker with birds! 60+ Sanderling ran along the beach, along with Ringed Plover and a single Dunlin. 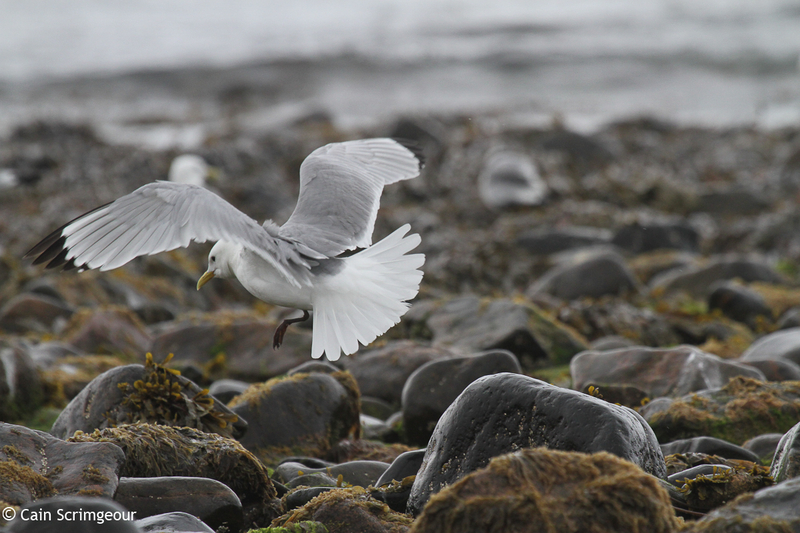 Arctic and Common Terns sat on the rocks, joined by Kittiwake, Herring Gull, Cormorant, Shag, Great Black Backed Gull and a lone Grey Heron. Just off shore 3 Grey Seals were bottling, and a large number of Gannets were diving presumably in a fish bowl just off shore. 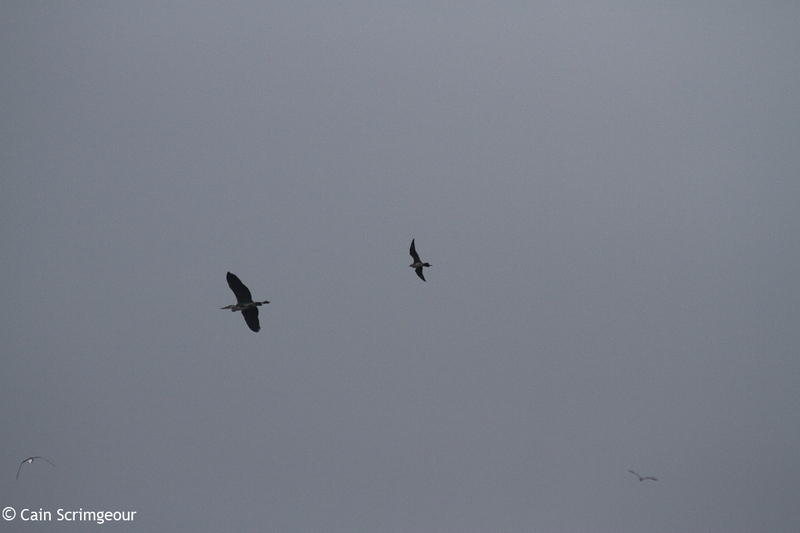 Hanging around the area 2 Arctic Skuas flew overhead, one dark and one pale, the pale bird later began mobbing the Heron, with Terns in pursuit. Did you see the Turtle Dove reported up there yesterday. :-) Cheers Brian. I like the term diving into a fish bowl ,sums it up perfectly.